Muddy Buddy mixes are always a fun treat. We usually do just holiday themed, but sometimes it’s fun to have a special treat for no reason at all. That’s where the Bubble Gum Muddy Buddies recipe idea game from! Pour Chocolate over cereal and stir until evenly coated. 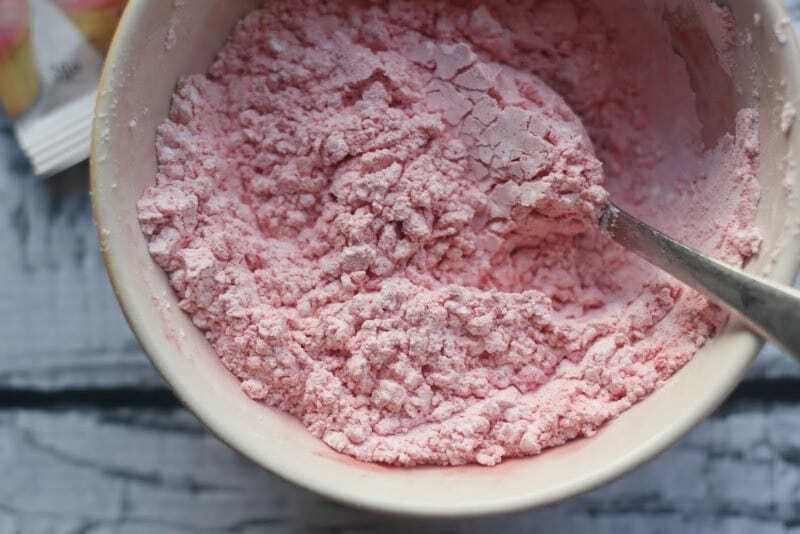 Mix together flavor packet and powdered sugar in a small bowl. This is such a fun recipe! Thanks for linkin’ up with What’s Cookin’ Wednesday! my girls would just go crazy for these! thanks! I cannot find the creations.Any suggestions? ? 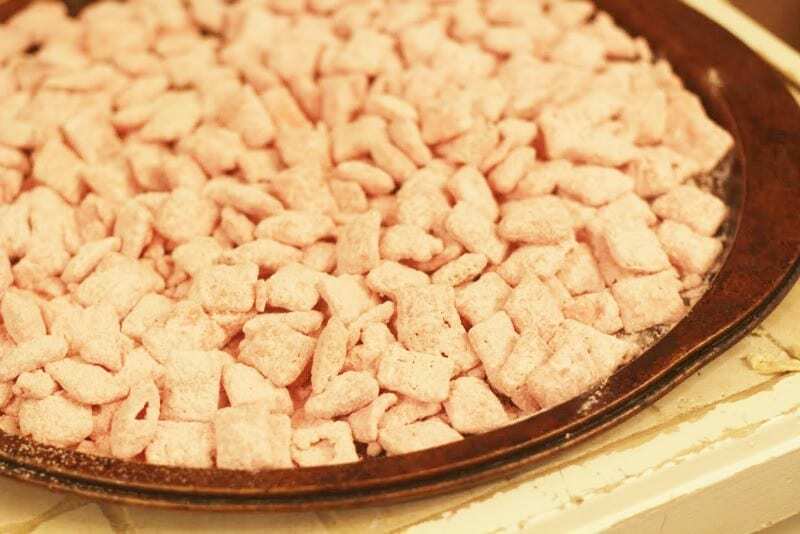 I love Muddy Buddies, this is even better! 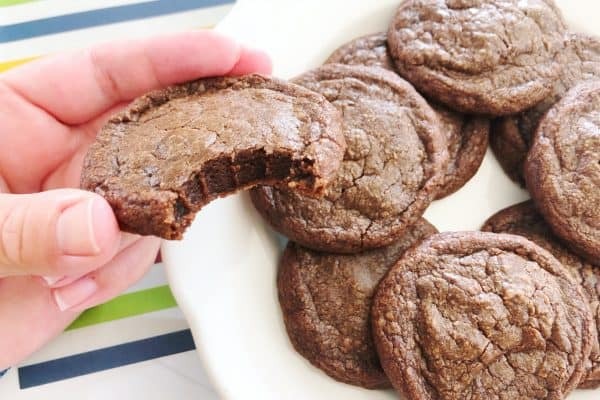 I can see making these to bring on a Sunday where instead of buying expensive treats, this would be perfect!!! Never heard of Muddy Buddies. What a fun flavor! 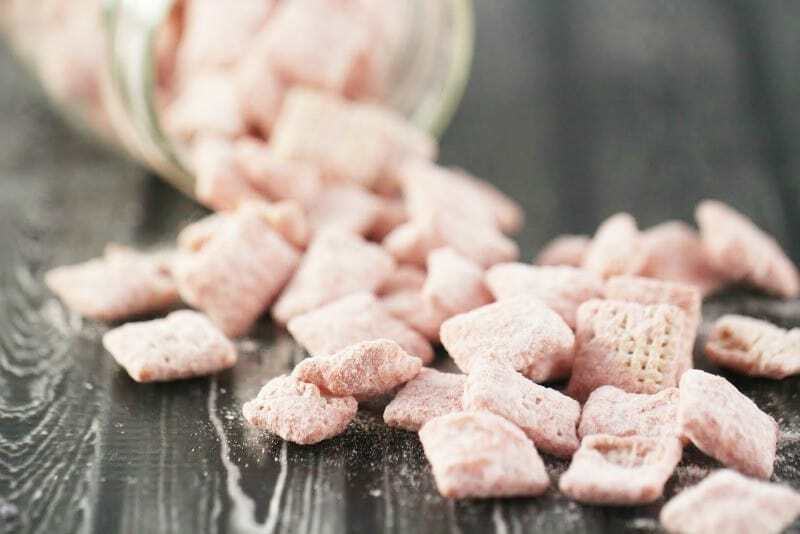 I would never think to try muddy buddies to anything other than chocolate and peanut butter! I have never heard of a Muddy Buddy! But now I want to make some! these look so yummy! They will be great snacks for me to take to the beach! Thanks for the recipe share! This is ridiculously clever… What an amazing idea that I can’t wait to try! I am not sure if I would like this personally, but I know my kids would love this flavor. This sounds yummy. My son likes Muddy Buddies. I will pin for future use. Thanks! 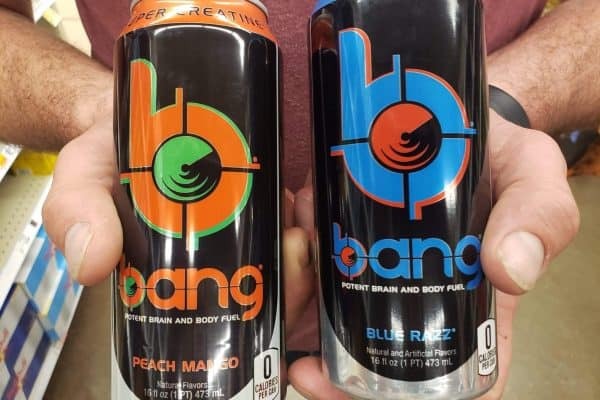 I will have to try this out, my daughter and grandsons of course will be willing participants in the taste test to see if it tastes like bubble gum. 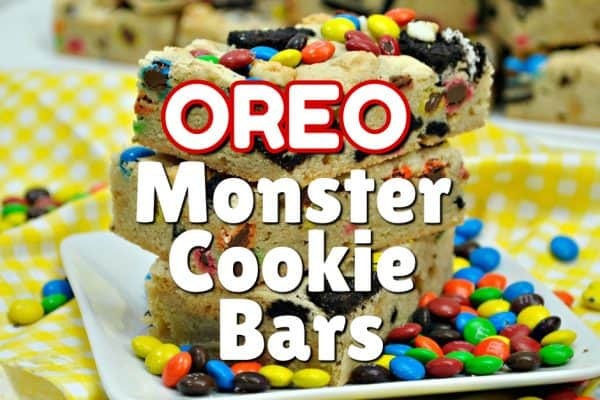 These look like so much fun to make and they look yummy. I would love to make this cute treat for when my sister and her kids come over to visit. They would love it! think about this one.I would think it is sweeter and has more of a candy flavor.Thanks for the recipe ,this is the first time I’ve heard of this mixture..
That is such a unique idea! My daughter would love it. Thanks for sharing! I wonder if it really tastes like bubble gum! I will have to try this recipe! Oh these look so good and fun to make! 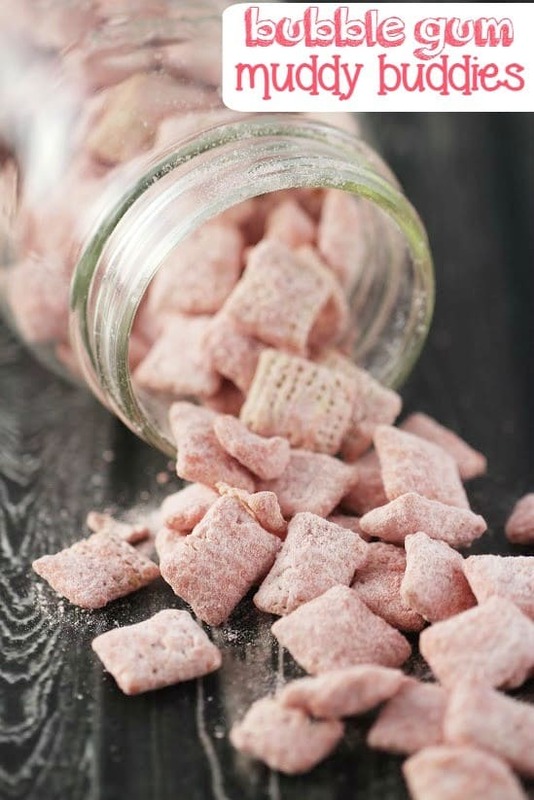 We love the regular muddy buddies, we will have to try this variation!!! I’m loving this! Would be great to a party or get together! I can see this being a huge favorite of kids! I am really confused about this recipe. What an interesting flavor to make. The kids would like this for sure. Wow, what a clever idea! I must try this!